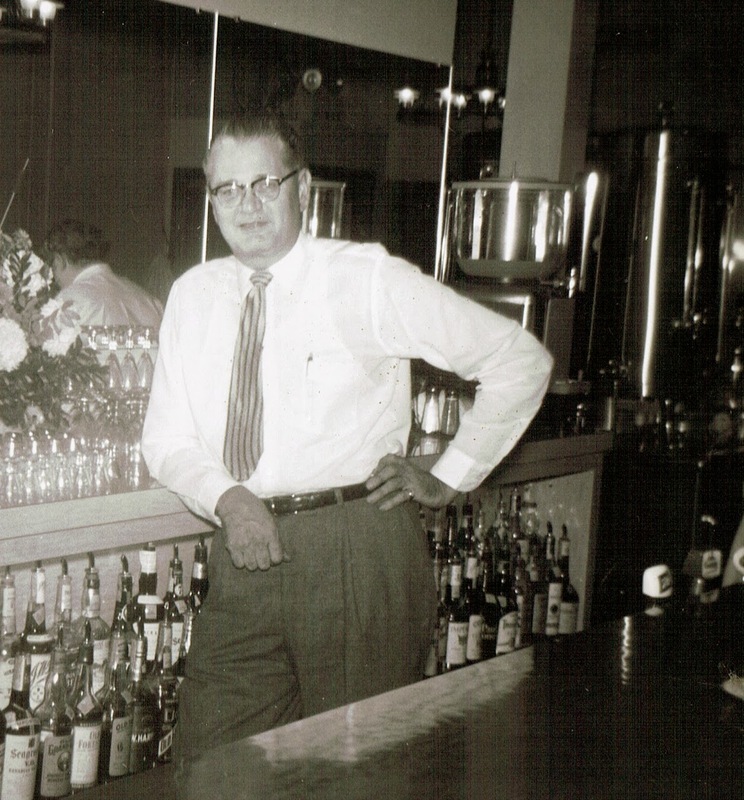 In my last two posts, I wrote about how my grandfather, Lloyd Ballenger, began his 50-year tenure at Reeb’s Restaurant in Columbus, Ohio, in 1933. 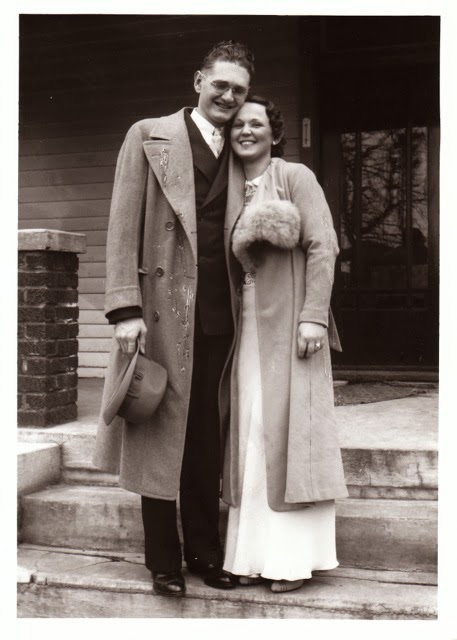 I also shared how my grandmother, Nora Belle Eberhard, met and fell in love with him, leading to their elopement on March 30, 1935. I’ll continue their story this week, although it’s a much harder chapter to tell. 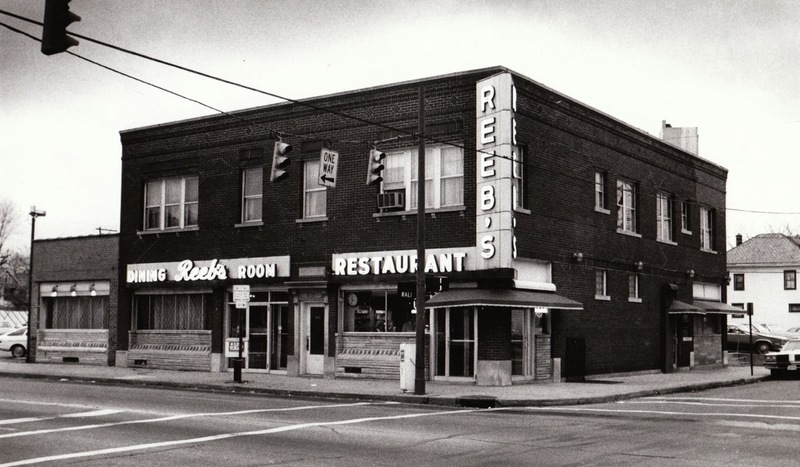 In 1936, the young couple lived in an apartment at 535 Oakwood Ave. on the near east side of Columbus, within easy walking distance of Reeb’s. Nora was thrilled when she found out she was pregnant early in the year. She endured a long, hot summer in the apartment, chatting with her neighbors in the morning and walking down to the restaurant in the afternoon, when the lunchtime rush was over. All of the employees and many regular customers knew she was expecting. 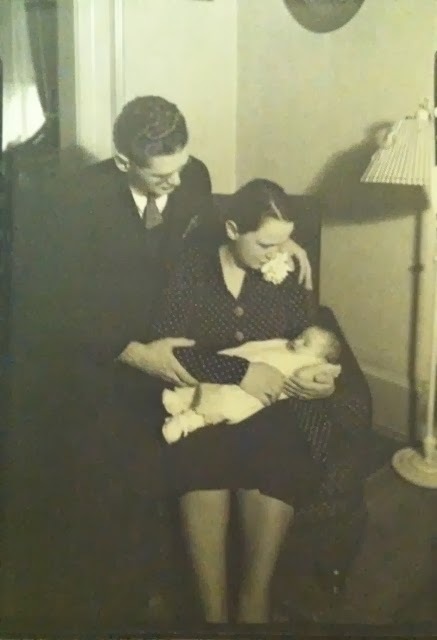 On August 9, 1936, Nora gave birth to a beautiful baby girl. They named her Marilyn Sue Ballenger. Lloyd received hearty congratulations, cigars, and free drinks from his many well-wishers at Reeb’s. Nora delighted in visits from her sisters and friends. Even though it was her first child, Nora had a lot of experience with babies from helping her mother tend her five younger siblings. She knew what to do when Marilyn fussed. As the humid days of August gave way to blue September skies, Nora started taking Marilyn down to Reeb’s on her afternoon walks, happily pushing the baby carriage in front of her. Her daughter would nap in the carriage while she talked and laughed with the waitresses. It was a golden month. But in mid-October, something went terribly wrong. Marilyn caught a cold, or so it seemed; she rasped, wheezed, and cried, and nothing Nora did seemed to settle her down. After a long day and night with the inconsolable baby, Nora took her to the doctor. Decades later, she would remember the shock of that Tuesday afternoon as clearly as if it just happened. The doctor told Nora that he was sorry, but something was wrong with little Marilyn’s heart. He couldn’t do anything for her. There was no medicine, no surgery, nothing that would fix it. She had the pneumonia now, but even if she got over that, it wouldn’t cure what was wrong with her heart. The best thing Nora could do was take her home and love her for the time she had left. He was so sorry. By Saturday morning, October 17, 1936, Marilyn's struggles were over. She was nine weeks old. I can’t imagine how incredibly hard those four days must have been for my grandparents. When she told me the story, more than fifty years after it happened, Nora couldn’t hold back the tears. The pain in her own heart was still fresh. In her grief, Nora realized she had no photograph, nothing to remember Marilyn by. They didn’t own a camera. Lloyd found a neighbor with a camera, and his wife helped Nora dress the baby. The neighbor kindly took a picture of Lloyd and Nora with their first-born daughter, now laying peacefully in Nora’s lap. It was hard to do at the time, but the picture brought Nora some comfort in the years that followed. 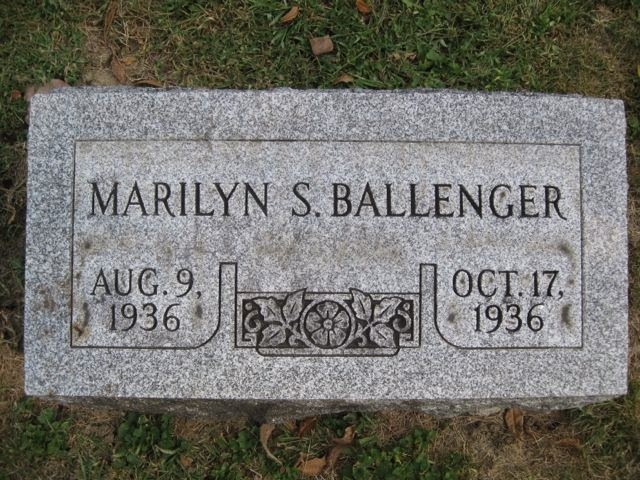 Marilyn was buried in Otterbein Cemetery in Westerville, Ohio. She rests today next to Lloyd's brother, Dwight “Smokey” Ballenger, and his wife. Even though her parents are not there, little Marilyn has plenty of family at Otterbein Cemetery. 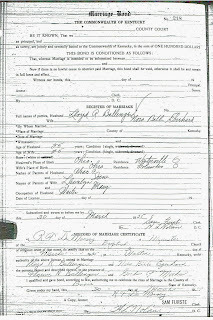 Her paternal grandparents Charles and Irene Ballenger, great-grandparents James and Anna Ballenger, and great-great-grandparents Charles and Rebecca Jane Ballenger are all there. Her maternal grandparents, Llewellyn and Mary Eberhard, are in a different section of the historic cemetery. In writing this, I hope to preserve Marilyn’s story, and honor my grandparents’ memories. Marilyn’s life was short, but she was never forgotten. Perhaps this will help ensure she never will be. 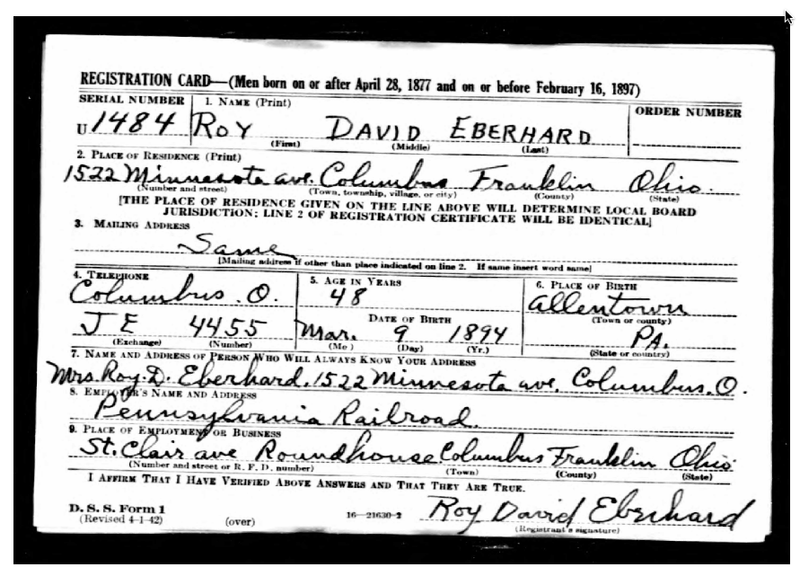 Certificate citation: “Ohio Deaths, 1908-1953,” digital image, FamilySearch (www.familysearch.org: accessed 5 April 2011), death certificate no. 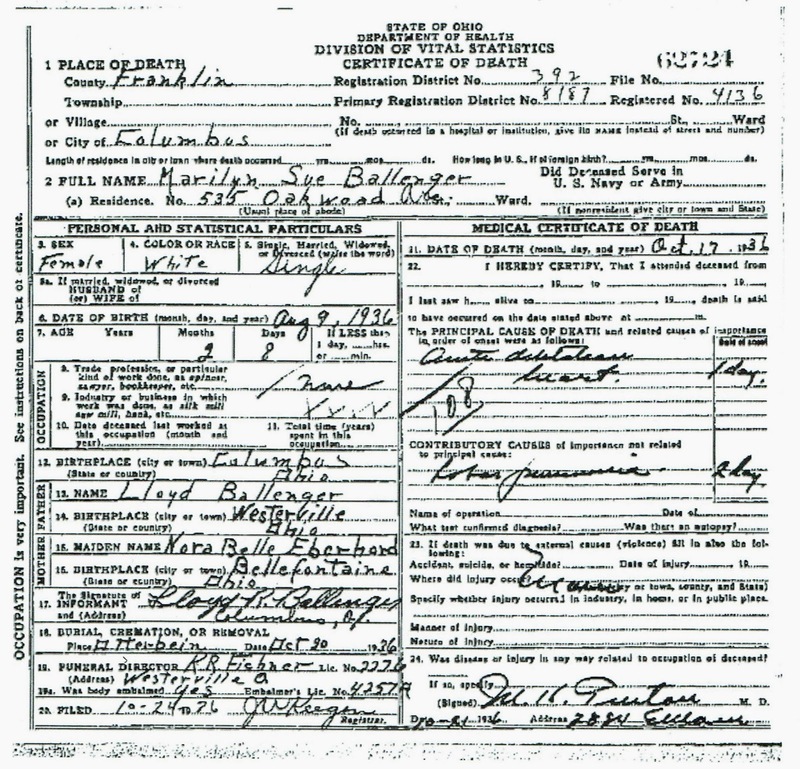 62724 (1936), Marilyn Sue Ballenger; citing original records, Ohio Department of Health, held at Ohio Historical Society, Columbus. 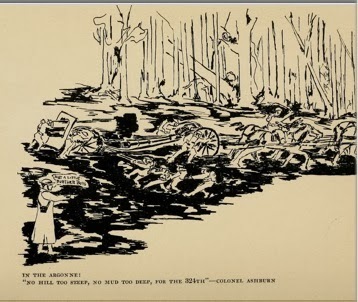 This is the third in a series, “52 Ancestors in 52 Weeks,” coordinated by Amy Johnson Crow at No Story Too Small. 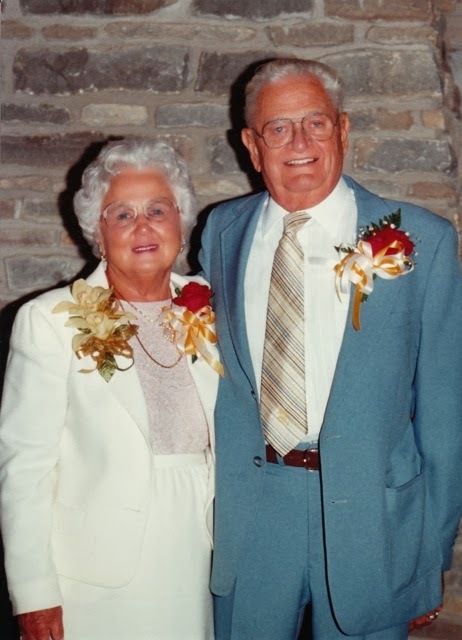 As one of 18 children born to Llewellyn and Mary (Comfort) Eberhard, Nora Eberhard’s childhood days were filled with household chores, hand-me-down clothes, and long walks to a one-room schoolhouse from the family’s dairy farm. By the time she reached her 20s, the Great Depression had set in. 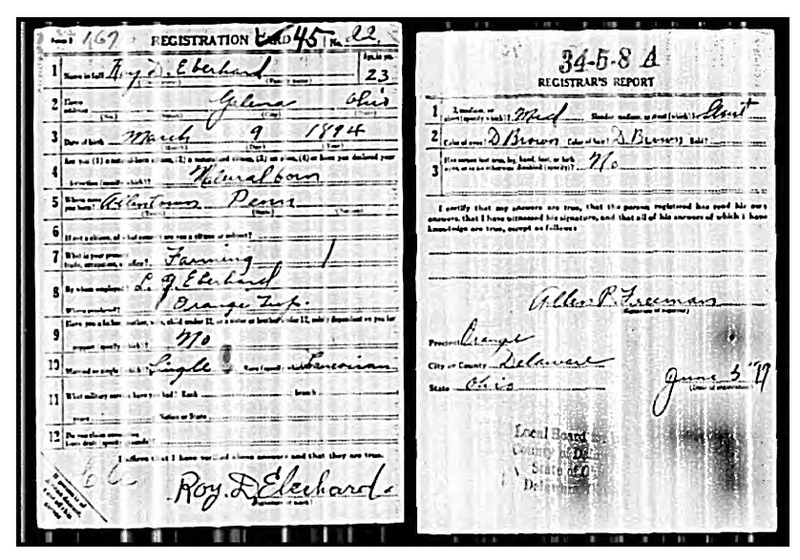 Nora moved to nearby Westerville, Ohio, where she boarded with a local couple while working at the Kilgore Manufacturing Company. Her job was to insert rivets into Kilgore’s toy cap pistols. 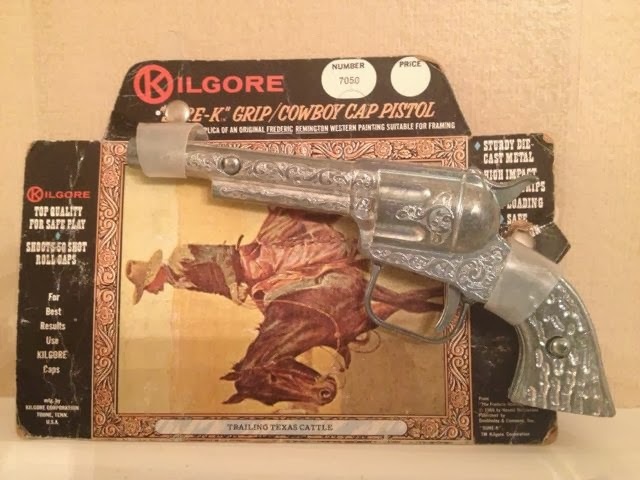 It gave her great satisfaction to see the finished toy pistols and know she had a part in making them. Nora also enjoyed getting to know her co-workers. One of the girls on the Kilgore riveting line with her was Florence Ballenger. When Nora needed a new place to stay, Florence invited her to board with her family. 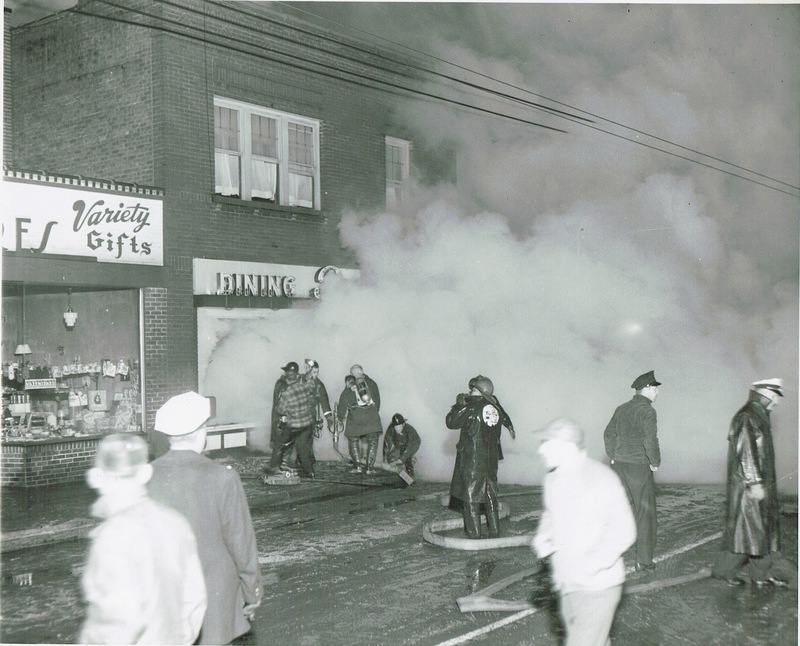 Florence’s parents, Charles and Irene Ballenger, agreed to the plan. By early 1935, Nora and Lloyd decided to get married. There was only one problem. Nora’s mother, Mary, had gotten very upset by events at the wedding of one of her other daughters, swearing she never wanted to attend another wedding. There wasn’t enough money for a wedding, anyway. They quietly hatched a plan, telling only Florence and her boyfriend, Gordon Meeks. Two weeks after her 25th birthday, on March 30, 1935, Nora did her dark hair up in tight curls and put on a new white dress. Lloyd donned his best suit and shiny black shoes. In the early morning hours, Gordon drove the foursome down the 3-C Highway in his Model A Ford to the state border at Cincinnati. 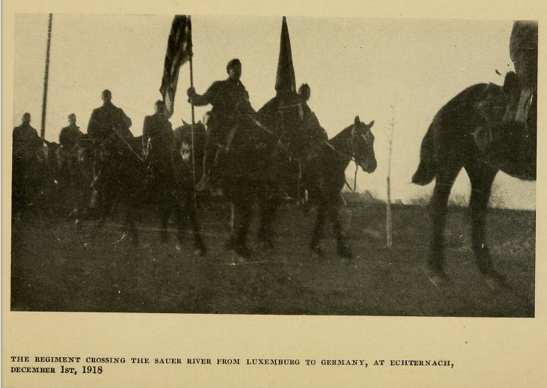 They crossed over the Ohio River and into Boone County, Kentucky. At the parsonage of a Baptist church in Walton, Nora and Lloyd found a minister willing to marry them. With Florence and Gordon standing by, they said their vows. All their hard work melted away as they stood on the steps of the parsonage, beaming, for their first picture as husband and wife. Fifty years later, in March 1985, Nora and Lloyd celebrated their golden anniversary surrounded by friends and family. In a way, it was the wedding they never had. 1. “Westerville, Ohio,” Wikipedia (http://en.wikipedia.org/wiki/Westerville,_Ohio: accessed 13 January 2014). 2. 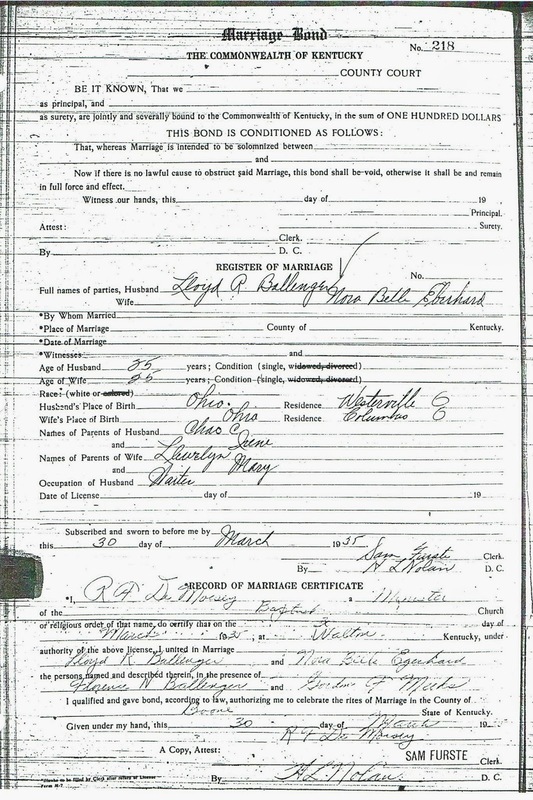 Boone County, Kentucky, marriage certificate no. 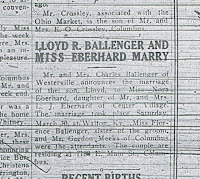 218 (1935), Lloyd R. Ballenger and Nora Belle Eberhard; Kenton County Clerk’s Office, Covington, Kentucky. 3. 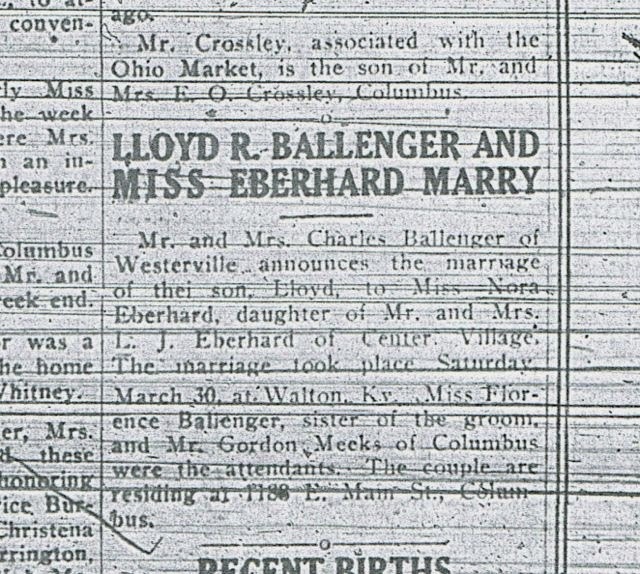 “Lloyd R. Ballenger and Miss Eberhard Marry,” Public Opinion (Westerville, Ohio), 4 April 1935, p. 2, col. 4. 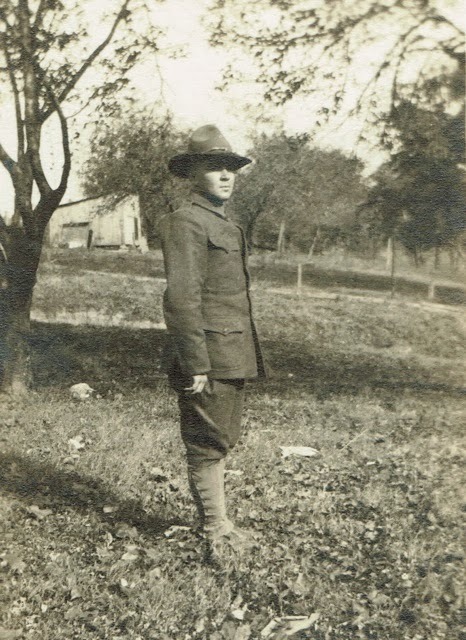 This is the second in a new series, "52 Ancestors in 52 Weeks," coordinated by Amy Johnson Crow of No Story Too Small. Do you ever feel like your ancestors are calling out to you? Me, me, me, they clamor, each one yearning for his or her story to be told. I get that feeling a lot. 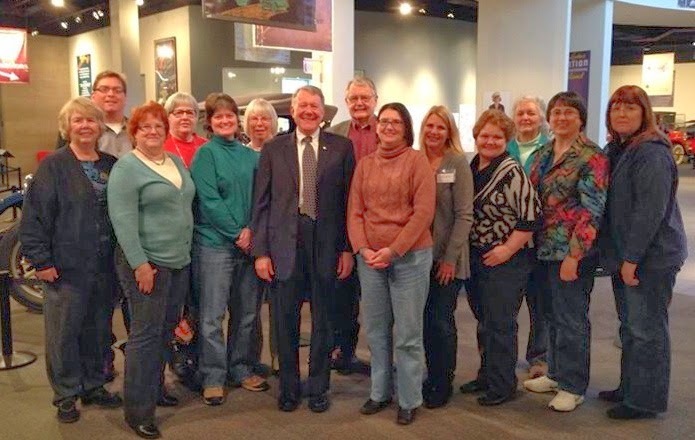 That’s why I’m excited about Amy Johnson Crow’s new challenge, 52 Ancestors in 52 Weeks. She’s inviting bloggers and others who want to share their ancestors’ stories to link up with her blog, No Story Too Small. She's already had a great response to her idea. 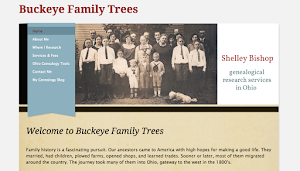 I’m looking forward to participating by sharing short stories, photos, records, traditions, and snippets of family history throughout 2014. Because I could spend a lot of time just debating which ancestors to feature, I’ve decided to start at the beginning of my pedigree chart and more or less work my way through. Of course, I might take a detour here and there to highlight a more distant uncle, aunt, or cousin, but that's part of the fun.